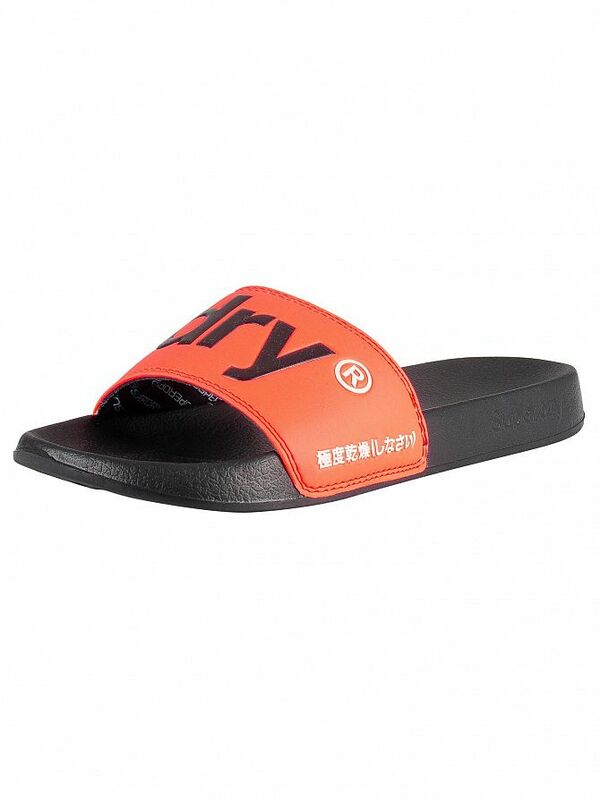 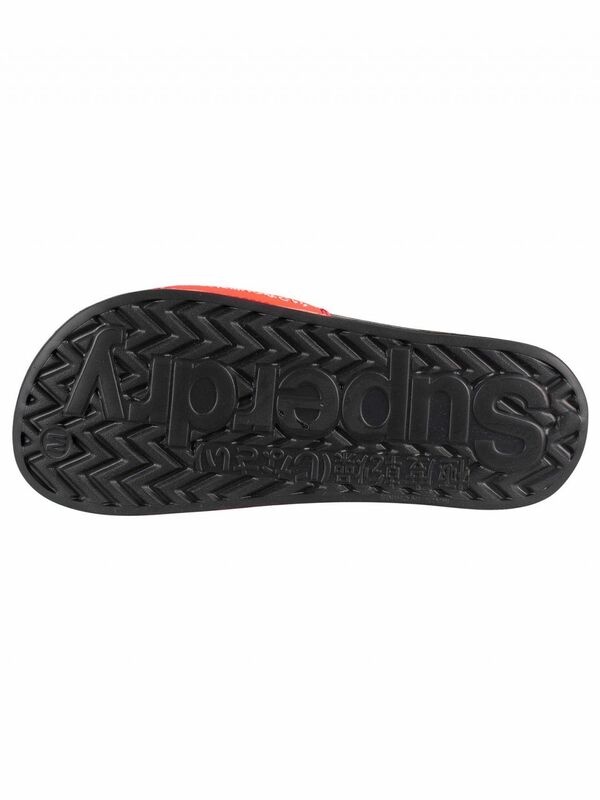 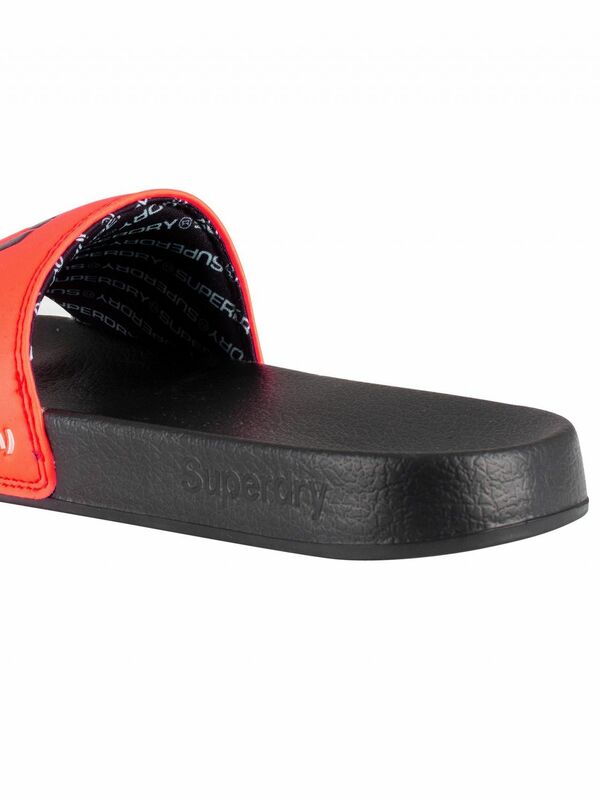 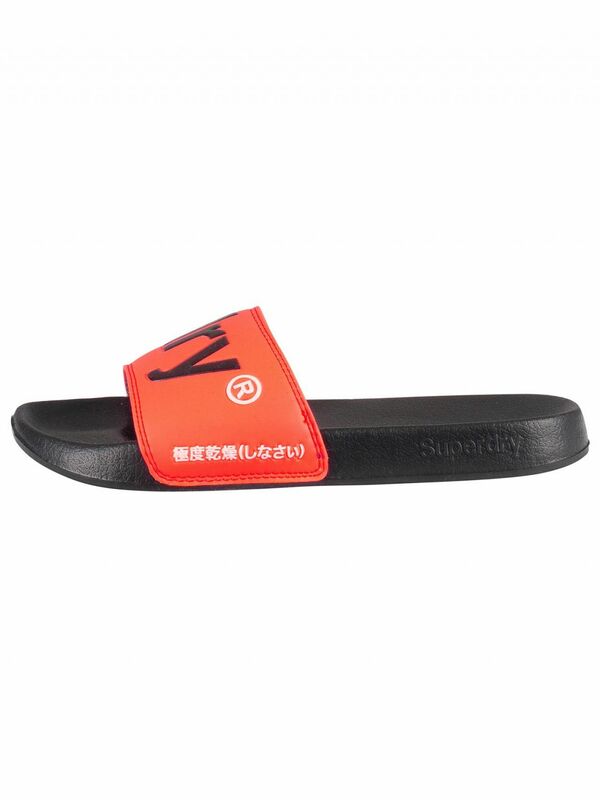 The Pool Sliders from Superdry features branded on straps and comes in Black/Hazard Orange colour. 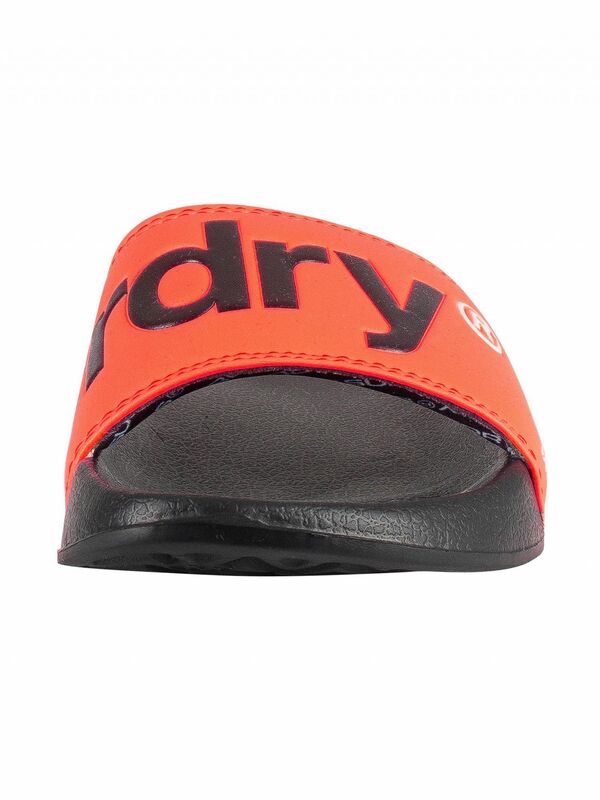 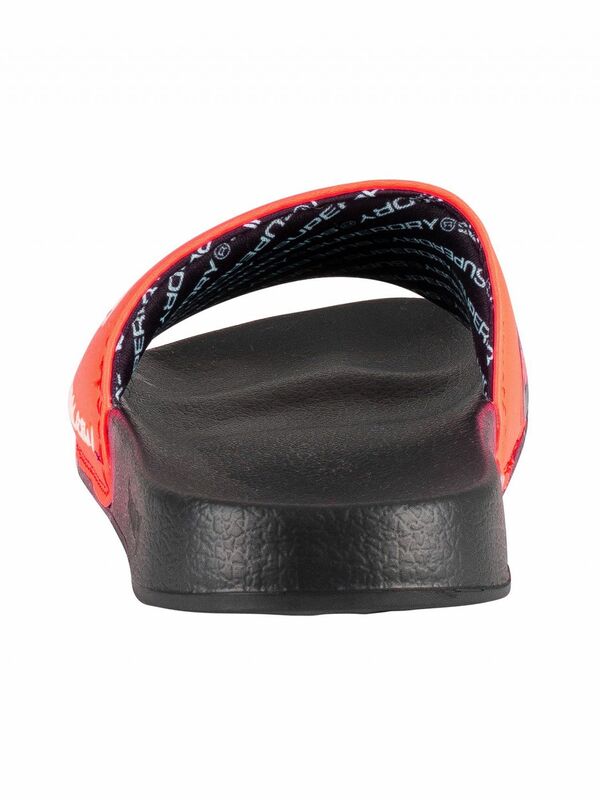 This pair of cushioned sliders features a rubber body and a wide horizontal rubber strap. 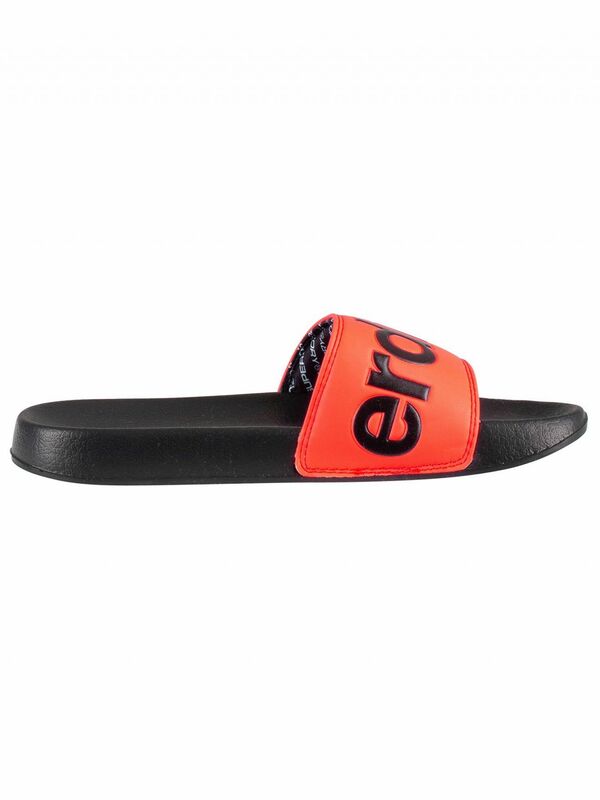 Sizing: S = 6/7 UK - 40/41 EU | M = 8/9 UK - 42/43 EU | L = 10/11 UK - 44/45 EU.